Notes: A Factory Australasia letter describes this release: "This 12" is exclusive to FACTORY AUSTRALASIA. 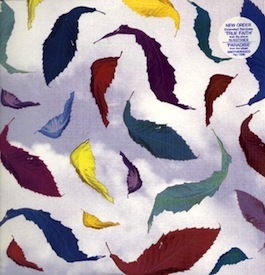 Added to the 12" True Faith Remix is the remix of Paradise (from the Brotherhood L.P.). Remixed in Sydney by Robert Racic this extended version is available only on this 12" and only in Australia."